For Diante Baldwin, success on the basketball court came early. His hard work and natural ability earned him a spot on a winning UNC Greensboro team. Now it’s taken him 4,600 miles away from his home town where this Greensboro native is a starter for AZS Koszalin, a professional basketball team in Poland. Diante learned his skills from his dad when he was young. He played basketball at the YMCA and Trotter Recreation Center, and later joined a competition youth team. By high school he was good enough to be recruited to play at High Point Christian. Soon UNC Greensboro took notice. The coaching staff helped Diante prepare for college, giving him tips on things like taking his SATs. He joined the Spartans in 2013, and the point guard soon became a key starter. He lettered all four years, was named All-Southern Conference, led the team in assists, and became the first Spartan in history with 1,000 points, 400 assists and 400 rebounds. And he enjoyed the support of being a hometown favorite on a team of friends. 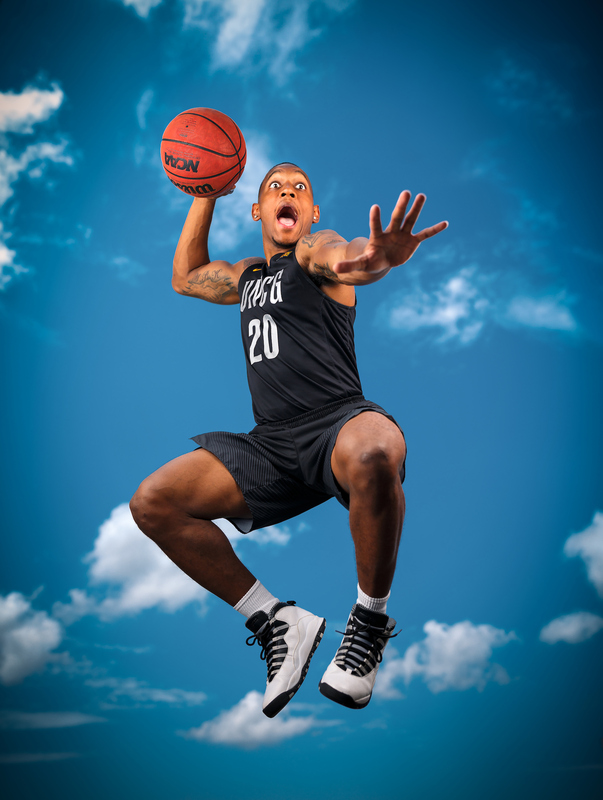 Diante’s success in college propelled him to the international sports stage. He just began his first season as a professional with AZS Koszalin, where the coach and most of the players only speak Polish. “It’s a tough adjustment, but it’s all still basketball,” he says. He says he’s grateful for his UNC Greensboro sociology degree. He says his basketball career might end at any time.